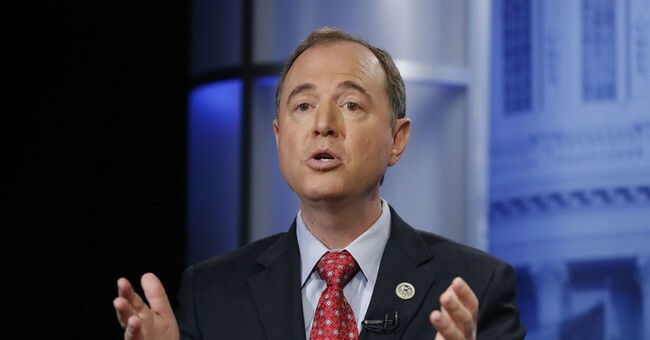 House Intelligence Committee Chairman Adam Schiff (D-CA) on Sunday appeared on "Face the Nation" to discuss the Mueller report. According to Schiff, the investigations into the alleged collusion between President Donald Trump's team and Russia is still ongoing. "This report is going to have to be made public and, of equal importance, the underlying evidence is going to have to be shared with Congress because that evidence not only goes to the issue of criminality but also goes to the issue of compromise," Schiff explained. "And remember, this began as a counterintelligence investigation into whether people surrounding the president or the president himself were compromised by a foreign power," Schiff said. "And there's still a lot of reason to be concerned about this president's relationship with Russia and [Vladimir] Putin. And so that evidence needs to be provided so we can make sure that we protect the country." Schiff's comments reaffirm his previous pledge to bring about subpoenas against Attorney General William Barr and Special Counsel Robert Mueller, if need be. Schiff was also one of six Democratic Committee Chairmen who sent a letter to Barr demanding the full release of Mueller's report. Speaker Nancy Pelosi and other top Democrats have shared similar sentiments.